If God is real, then what? This question was the catalyst for a movement of women. We no longer want to sit idly by as the enemy ravages our cities. We no longer want to be imprisoned by our fears and insecurities. We are women who want to love Jesus, His word, and His people. IF: Gathering exists to gather, unleash, and equip the next generation of women to live out their purpose. Last year, in Austin, TX, hundreds of women gathered while thousands watched via simulcast, and the Lord moved in mighty ways. This past Saturday night, four other women and I gathered around a table. We were different in many ways but alike in all the important ways. Among us were leaders in ministry, moms, single women, and various life stages. It was the first time we had all sat down together, and we talked for almost three hours. Our conversation revolved around our city and its needs. Athens holds each of our hearts, and we want to see change. We want to see the Lord move. God is not limited. He is not limited by political affiliations, race, weight, intelligence level, or denomination. He is for all, and He wants to do new things. Will we believe Him for those new things? Will we trust Him to do what He has promised to do when we seek Him with humble hearts and are willing to step out in faith? If you are local, mark September 23 on your calendar. (Location is TBA and will be announced ASAP.) 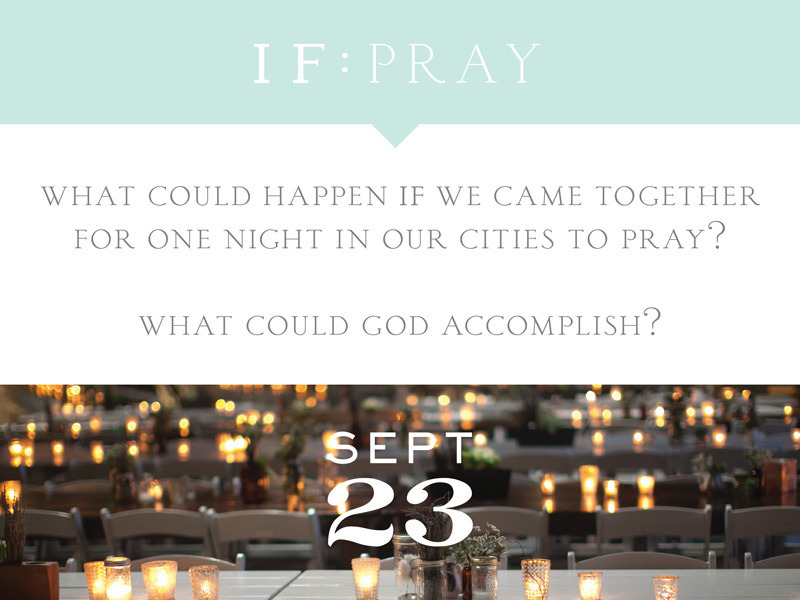 All women of Athens are welcome to join us as we pray and seek the Lord for revival in our hearts, homes, and beloved Classic City.Women all over the world will gather in churches, warehouses, and homes on this night. What a powerful testimony of the church coming together to do what we're called to do, no? Join us. i am so happy you've signed up for the etsy swap! we completely spaced and didn't add an "email" option. Could we have yours? Thanks!